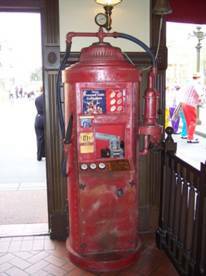 The machine formerly found at the Magic Kingdom’s fire station has popped up at the Prop Shop at the back of Disney’s Hollywood Studios. 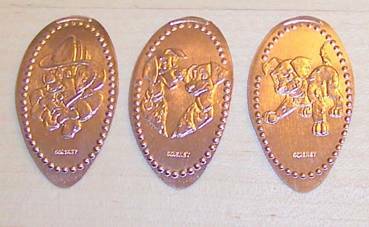 The dies have been changed – instead of the “Magic Kingdom” dies, there are three dies that had been retired from use at the resorts years ago: a Dalmatian wearing a fire helmet and holding a bone; Perdita & Pongo; and a Dalmatian puppy. This continues a recent practice of bringing back retired dies. The machine does not replace any others – the two other machines at Prop Shop (Tron and Roger Rabbit/Jessica Rabbit/Jack Jack) are still there. In addition, the two Wreck-It Ralph machines from Pizza Planet have been relocated here. That means there are 5 machines in this tiny store! 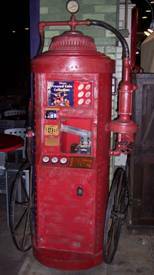 The Firehouse penny machine has moved from Prop Shop at Hollywood Studios back to the Magic Kingdom’s fire station. It keeps the 3 Dalmatian-themed designs it had at the Studios. These are different from the designs the machine had when it first served the MK.